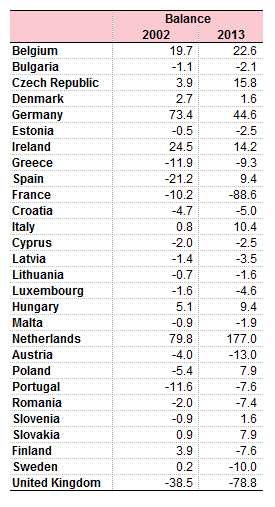 Between 2002 & 2013 the value of exports between every EU member state increased except in the UK & Ireland. The European Union latest statistics on the official Eurostat website show that the value of exports of goods between EU-28 member partners has increased in every member state between 2002 & 2013 except the UK & Ireland. In 2013 the UK EU trade in goods imbalance was more than double what it was in 2002, in 2016 the imbalance is at it’s highest ever recorded level. 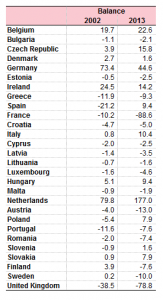 Figures also show that in 2013 all EU member States traded more goods with each other than with non-EU countries except in Greece, Malta & the UK which sold more goods outside the EU than in. 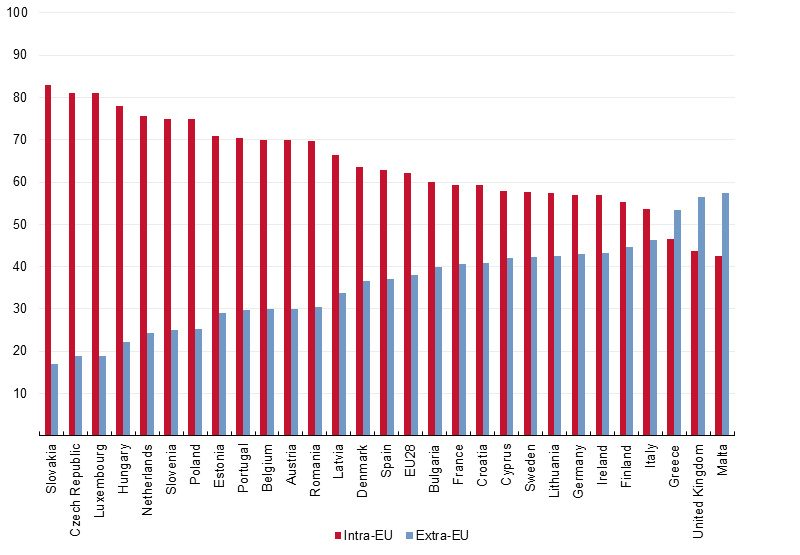 Comparing internal and external EU trade.